Join fellow nature and garden lovers on an incredible rail trip to Glacier National Park, Montana. 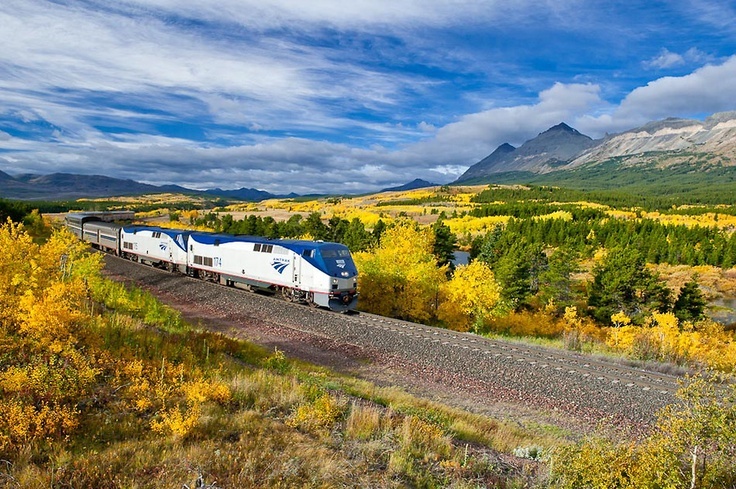 Begin as we board Amtrak's Empire Builder in Seattle for a beautiful overnight trip through the Cascade Mountains to Glacier Park, Montana. In 1885, George Bird Grinnell took a hunting trip in what is now northern Montana. Touched by its beauty, Grinnell called the area the "Crown of the Continent." He then spent the next 20 years instituting the area into a national park. 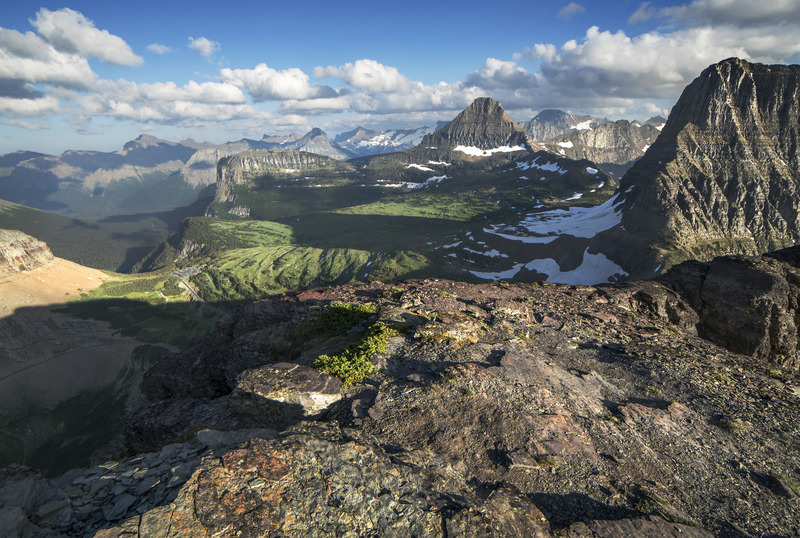 Years later in 1910, the area would become Glacier National Park, making it the 10th national park in the United States. Located in Montana, Glacier National Park provides over 1 million acres of beautiful land for exploration. Bordering Alberta and British Columbia, the park includes over 700 lakes, sections of two separate mountain ranges and has over 700 miles of trails for hiking. 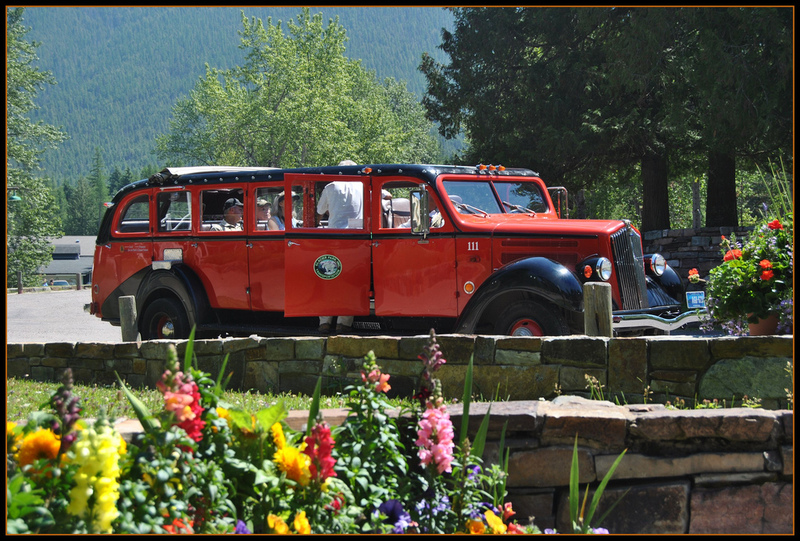 Alongside the beautiful scenery you can find Glacier National Park lodging, many of which were built in the early 1900s. As of today, nearly 350 of the Swiss-styled buildings in the park have been placed on the National Register of Historic Places. With so much land to explore, Glacier National Park has more than enough opportunities for discovery. These include wooden tour boats that date back to the '20s and the Red Jammers from the '30s — restored White Motor Company coaches. Glacier National Park is also amongst one of the best places for fly-fishing in North America. Though it is known for the Going-to-the-Sun road, Glacier National Park holds other majestic places for wandering. From the North Fork to Hidden Lake and Triple Divide Pass, to Chief Mountain and Grinnell Glacier, the park holds endless chances for visitors to experience a truly astonishing place. Glacier National Park is also home to a wide variety of wildlife. In 2008, roughly 300 grizzly bears were living in the park. Among the grizzly, the wildlife in the park includes the Canadian lynx, black bears, wolverines, mountain goats, elk, moose, bighorn sheep, coyotes, mountain lions, river otters, badgers, mink, fish, and so much more. Tumbling mountains stretch toward the sky, then slope gracefully toward the earth and toward sparkling lakes and streams at their bases. The ruby reds, sapphire blues, golds and emeralds of wildflowers are so vibrant and piercing that the sprawling valleys may at first appear dotted with jewels. Wildlife watching is yet another delight and grants glimpses of mountain goats creeping along ridges, trumpeter swans bellowing and even the occasional grizzly scavenging for a meal. 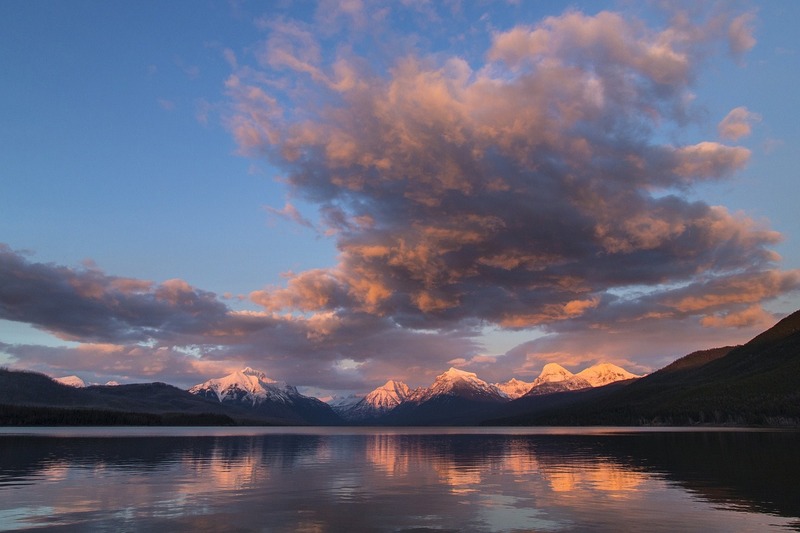 The land of Glacier is a part of the treasured "Crown of the Continent Ecosystem" - an area of land designated to conserve the region's biodiversity. The park is comprised of several ecosystems, including westslope forest, eastslope forest, bunchgrass, alpine and aquatic. The park's historic relevance is also of note, with 350 structures listed on the National Register of Historic Sites. In fact, this national park is so highly treasured that in 1932, the adjacent Waterton Lakes National Park in Canada and Glacier National Park were jointly designated Waterton-Glacier International Peace Park, promoting the positive relationship between these two nations. This glacially carved wilderness is an explorer's paradise and offers an overwhelming 700-plus miles of maintained trails for visitors to traverse. The aptly named Going-to-the-Sun Road is a 50-mile journey across the park, and offers views of the wetlands, Pacific Northwest rainforest and the precipitous ridge known as the Garden Wall. Other highlights of this tour include Logan Pass, Jackson Glacier, Trail of Cedars and Rising Sun, where visitors can indulge in a boat cruise on St. Mary's Lake.